Artists are the original Kings and Queens of Entrepreneurship. Great Artists & Entrepreneurs are excellent at creating something unique, Branding & Marketing it while building a following. It is in striking this balance that separates the successful ones from those that are mediocre. 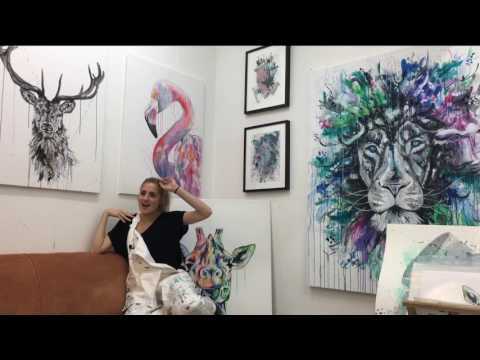 Meet Sophie Tea, a new Artist & Entrepreneur getting rave reviews from several sections of the media and the Art world for her vibrant art style. She has hit that sweet spot of turning her hobby into a business.